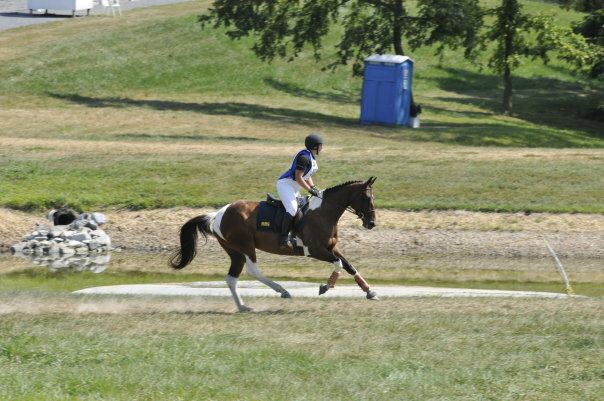 Reigning Dawn (Old x TB) successfully competed at Novice level at the Maryland Horse Trials and Fair Hill, before a sustaining a pasture injury. She completed both with no XC jumping faults. Dawn has now produced 2 stunning colts Tatendrang, you can see both Titan's Dream LSE (2017) and Thunderstruck LSE (2018) on our "Sold" page. 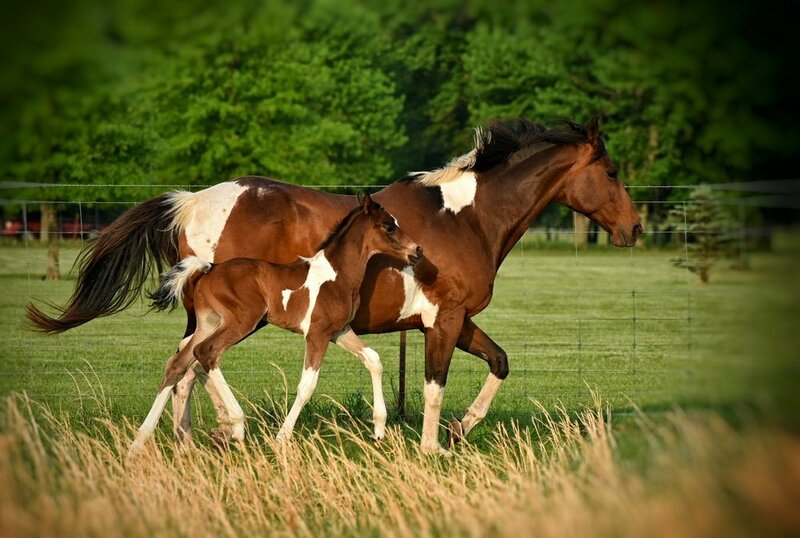 Both colts are uphill, powerful movers with very solid and correct conformation. They are both intelligent, bold, and eager to please--we cannot wait to see them on the cross country course in a few years! She is being bred back to Tatendrang for 2019, and a Colt Only in utero option will be offered. Please contact me for pricing, considerations given to high performance homes. Dawn is typically a favorite during Cross country clinics with her bravery and bold style. One clinician indicated that she has "easy intermediate potential". She has schooled up to Prelim XC and up to 4ft in the ring at home. She also has the movement for Dressage, scoring an 8 at her inspection as a foal, with comments on her Olympic caliber movement, and continued to receive high compliments on her dressage tests. 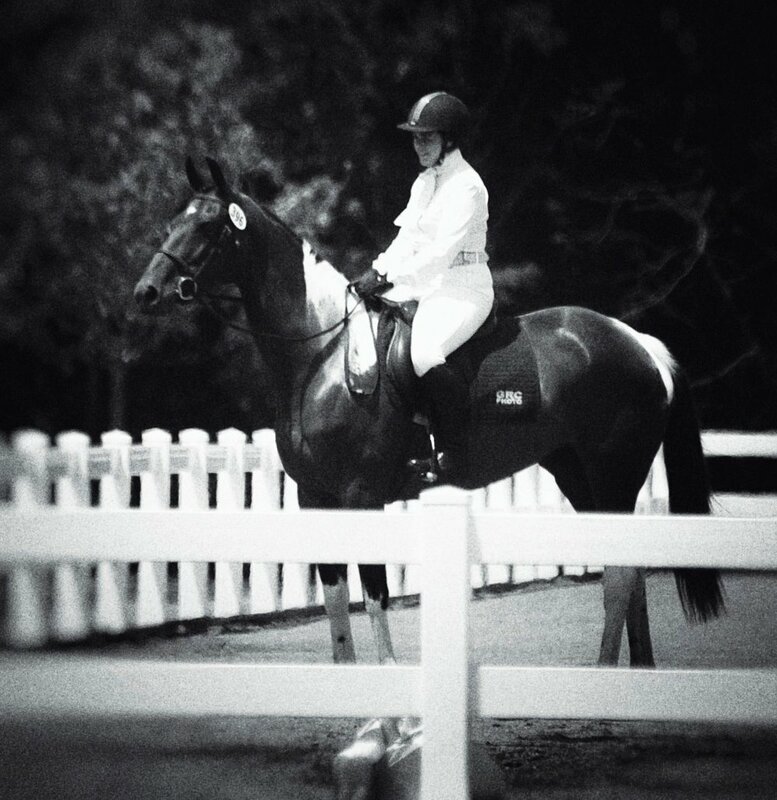 Dawn's strength in eventing comes as no surprise, with her sire successfully competing, and winning, with a Junior rider at Training level after his success in both the Hunter and Jumper rings. 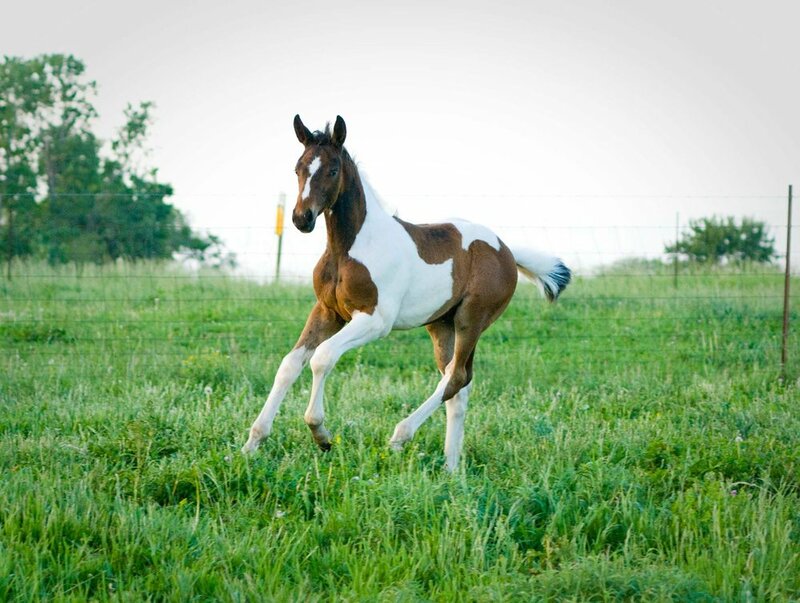 He provides the genetics of two of the most acclaimed pinto Warmblood sires available--sire Rainbow and dam sire Art Deco. Dawn's mother, Hyperion Steel, provides some of the best sport horse thoroughbred blood from Nearco, Hyperion, Nashrulla, etc. Steel began her sport career at age 10 and impressed clinicians with her heart and work ethic. Olympic Silver Medalist, Greg Best praised her drive at every clinic he saw her in. Rolex competitor, Cathy Wieschhoff also had high praise for Steel at a clinic. Steel competed mostly in Pony Club rally's and Novice level events while Joanna was in High School. She also is an intense competitor on the Cross Country course.